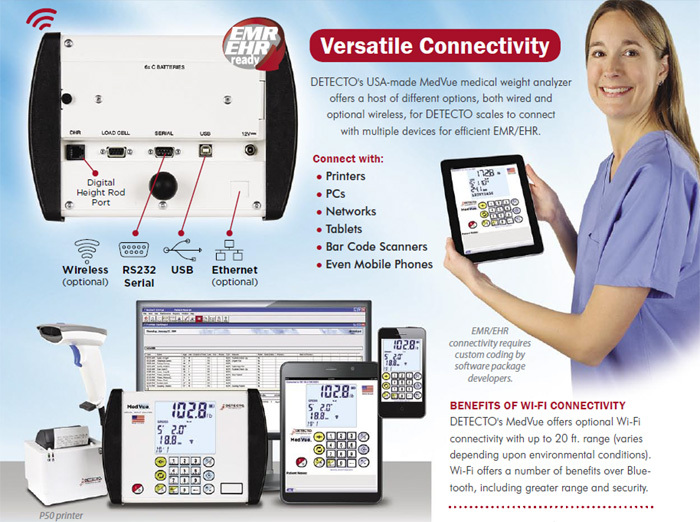 Detecto's MedVue® medical weight analyzer is utilized on select clinical scales. 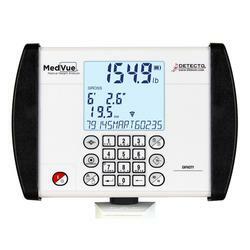 The MedVue® features a striking blue 3.5-in-wide by 3-in-high backlit LCD display screen with nearly 1-in-high weight digit readouts for easy visibility. The MedVue’s 350-degree swivel mounting bracket allows the display to be tilted and rotated into position wherever it is the most convenient for the medical professional and/or patient to view. 350-Degree Swivel Mounting Bracket (not included) - Enjoy freedom of movement wherever you need to position the display with the MedVues 350-degree tilt-and-swivel mounting bracket. 30 feet (9 meters) max. Height: 0 - 9 11.9"